Sairento, The Species Changing 0th Espada. Mask Fragment:Head(tail in back)and left side of face. Personality:Silent, and slow to trust. He usually allows other people to speak for him. Weapon Description:This weapon can absorb enemy kido/ceros launched at him. And fire them back at twice the power. Resurrecion Release Phrase:Devastate them, Chimera! Description:This is a simple move from hollows that launches a single beam of red energy at an opponent, which can vary in power. Description:Allows the user to take in any substance, his genetic code changing in the process, as he then uses the substance as an armor. This is a passive ability that Sairento has done much training to achieve, putting his reflexes and speed at a higher level than those of humans and average shinigami. Accuracy:Varies on how fast the opponent is. Accuracy: He must touch the substance. Cooldown:Can only be used once per battle. The sword points directly at the opponent as it then begins to shoot out poisonous needles, containing Cobra Venom. 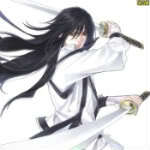 The male tightly grips his sword, fangs slowly growing where his canine teeth had been. His reiatsu grows stronger as he then dashes at his opponent, swinging with heightened speed. His bloodthirst grows. First Stage, Elegant Dismissal: This will require the resurrecion form, and that sairento Be ready to fire his Heiden Ku cero and Ragnarok Cero. This does not need to charge for any amount of turns, and reaches the size of Ten city blocks. This attack is as powerful as three and a half ulq ceros. Second Stage, Brute Departure: This also requires resureccion form and the Heiden ku and ragnarok ceros ready to fire. This needs to charge for a turn and reaches the size of a large city. This is used to obliterate many enemies at once. Final Stage, Complete Obliteration: This is the most powerful cero ever wrought, and only Sairento possesses it. That is because he made it, this cero has all the conditions of the first two stages, but must charge for two turns. (Two of sairento's turns.) This cero is 'maxed out' and has the ability to destroy the entirety of the spiritual world. (Hueco Mundo, and Soul Society.) Or even just the human world. If met with a cero of equal power, this cero will cause the matter of space and time around the two combatants, cuasing them to become implosive, them turning to voids as their bodies then become nothing. (Not dead, just gone without a trace). Devastation : Sairento creates a giant dome of earth around him and his opponent(s). During this move, once the dome closes there is no light, so no one can see. During this, he channels his reishi around the entire dome, kneading it to become the form of water.He is outside the dome, so he then fills it entirely, leaving not even a slight bit of air for the opponent(s) caught inside to breath anything but the water. The water is made of spiritual energy, so ceros and other reishi attacks will be much less powerfull. And to keep the target(s) within, sairento cloaks the dome in reishi to make it strong. 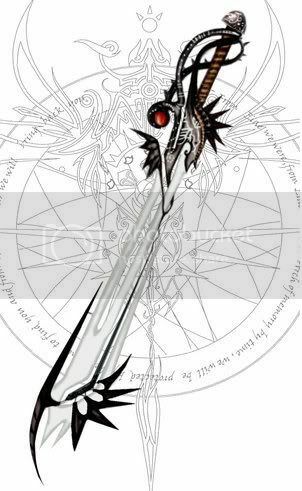 Gran Rey Cero : To perform this potent variation of the Cero, the Arrancar first draws blood from the Cero-generating appendage using his or her Zanpakutō, then charges the Cero while mixing the blood with it. 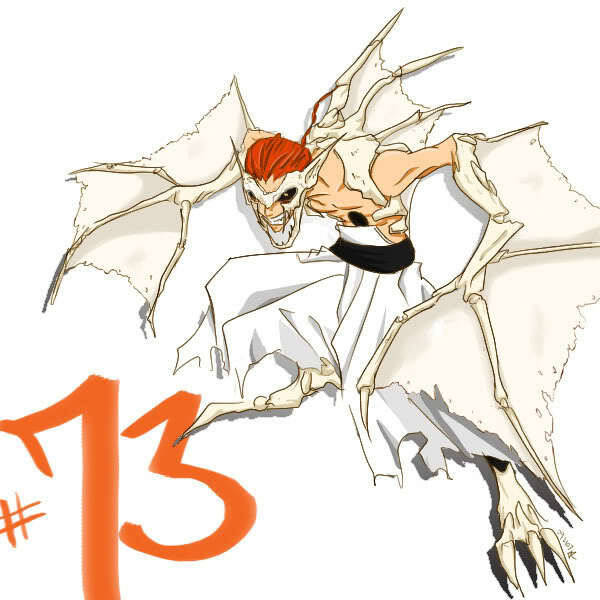 The result is a Cero with a much greater attack power and speed, as well as a change of color unique to the Espada. 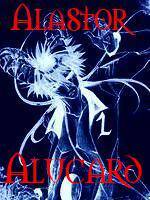 Garganta: An espada's way of getting around through the human world and Hueco mundo. Gemelos Sonído: Allows the user to move so quickly that it appears to have clones appear from the user. Up to five 'clones' can be created at a time, and this move is much faster than the Flashstep. Ragnarok Cero : This cero is emitted from Sairento's mouth and is four times larger than ulqiourra's gran rey cero it is only 2.5x more powerful though, and takes much energy for Sairento to fire. Usually only fired when Sairento is in resurrecion. Barrage of Ceros : Sairento channels the energy of a cero into a large orb the he raises above his head. He then brings it down in front of him, to hold it at an aggresive stance. The orb then launches out twenty mid-power ceros, which can either spread out, or focus on one enemy. In resurrecion, these ceros are as powerful as Sai's heiden ku cero. Immense Spiritual Power : Sairento's spiritual power is usually held at a lower level than it really is, but if let out, the pressure of which could cause any weaker shinigami or human to be incapacitated. Enhanced Durability: Sairento is able to take stronger attacks without showing much pain. Heightened Attributes(Passive): This ability is activated as soon as Sairento enters his Resurrecion. His power, speed, agility, senses, and physical strength grows to that of three captain commanders. During this, sairento regenerates almost as immediately when hit. In this state he can take a Gran Rey Cero to the face with only a cut to show for it. Transparency : Sairento channels his body to become see through,as well as ghost-like. This meaning all physical attacks and most explosive spiritual attack will simply go through him, unharmfully. Raseangan : Sairento channels reishi into his hand, cuasing them to become a small hurricane-like ball within his palm, spinning at very high speeds. As soon as this comes into contact with the target of choice, their skin will begin to twist the way of the raseangan, and will eventually burn off and or rip. Chidori: Sairento channels reishi into the palm of his hand, causing it to crackle and spring up like lightning. When this comes into contact with the target, they will be violently shocked and or burned. Depending on the power. Raseandori : Sairento does the same channeling of reishi into each of his palms, then pushing them together to form a soccerball-size lightning hurricane orb within his palm. When this comes into contact with the opponent they will be brutaly shocked, and their skin will begin to rip. If this goes far enough, bones will break and or cave in. Description: Energy fields are used to rescue fellow Hollows. Only the Gillian-class Menos have shown the ability to use it. Negación fields surround a target in a square beam of light that isolates the target from the dimension they are currently in, making it impossible to harm them. The field then pulls the target towards the Menos that created the field. Espada's Pride(Passive): Once the user reaches a point in the battle where the have taken heavy damage, they will immediately gain a speed boost, after images of themselves left each time they move. These after images will stay until dismissed up to twelve of these can be made. Also, the user's strength will grow to an immense level, making it possible for them to lift small mountains. Telekinesis : This ability doesn't have a set cooldown or duration because Sairento simply uses it to summon his zanpakuto. He almost never carries it and so must summon it doing this. Though it is never far from him. History:Little is known about Sairento. Though as a hollow, he was very head-strong, and hated everyone and everything. The day he ripped his mask off, he became silent, and less hating. Sairento met another like him, named Kyouga. After which, he stayed silent, allowing Kyouga to speak for him. Once Grimmjow became the leader of the espada, Sairento stopped taking orders as well. He began to doodle more, trying to keep his mind off of his duties. He did what he could, to not have to follow orders. He wanted to leave the espada once and for all. RP Sample:Sairento ran forward, swinging his blade quickly. He grinned as it came into contact with the side of the hollow's head. The blade seemed to cut through like butter, spiritual particles being the only thing left of the hollow. Sairento wiped his forehead softly, getting the sweat off. He then turned to see four adjuchas menos coming up, raising their hands to launch ceros. As their ceros charged,he released a heiden ku, the thing enveloping all four, then badly wounding them. As they tried to sit up slowly he dashed forward, swinging his blade in a circle, decapitating each in turn.